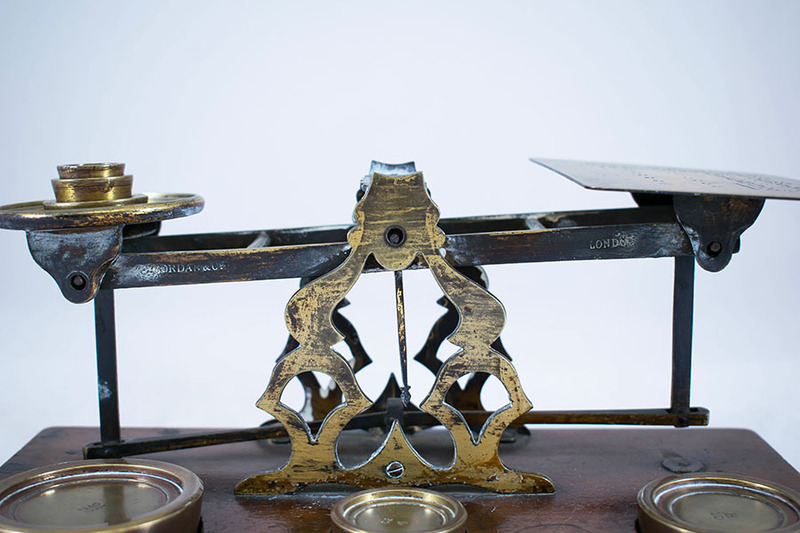 Brass postage scales on a wooden base. 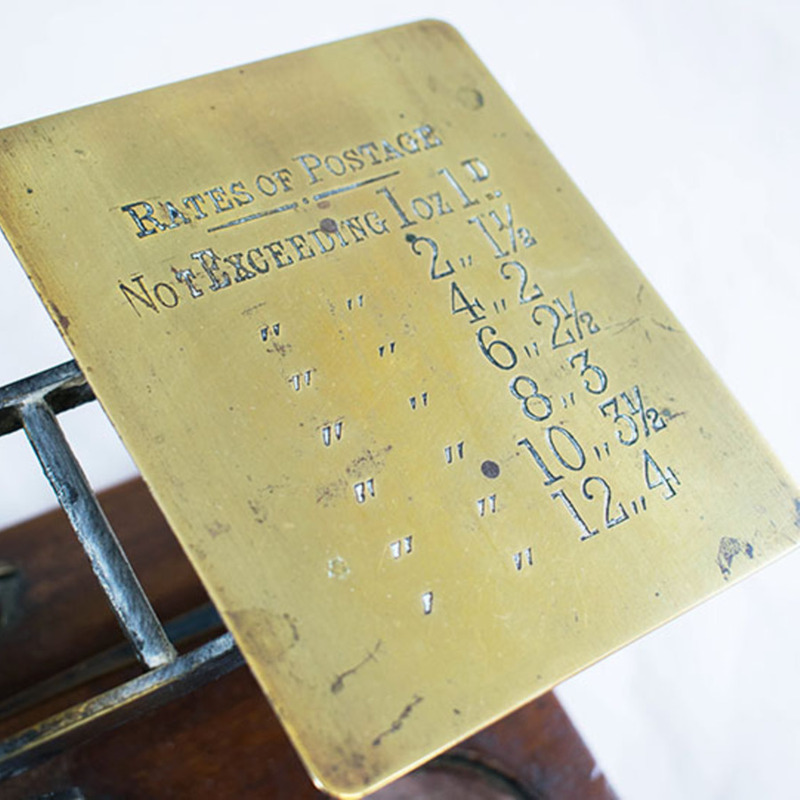 Rates of postage inscribed on weighing platform. 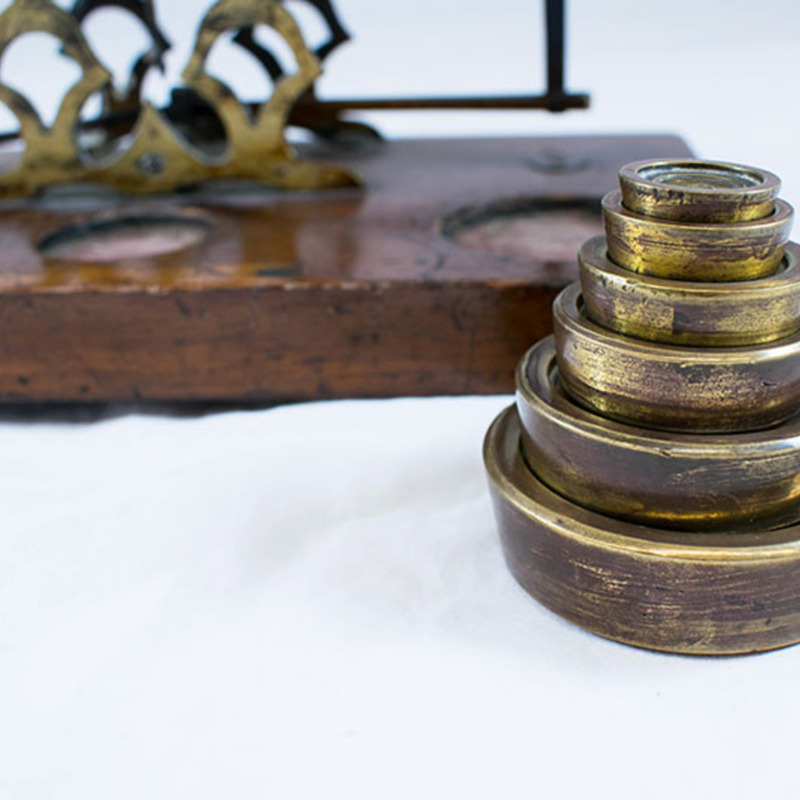 Circular spaces for 6 brass weights on base. 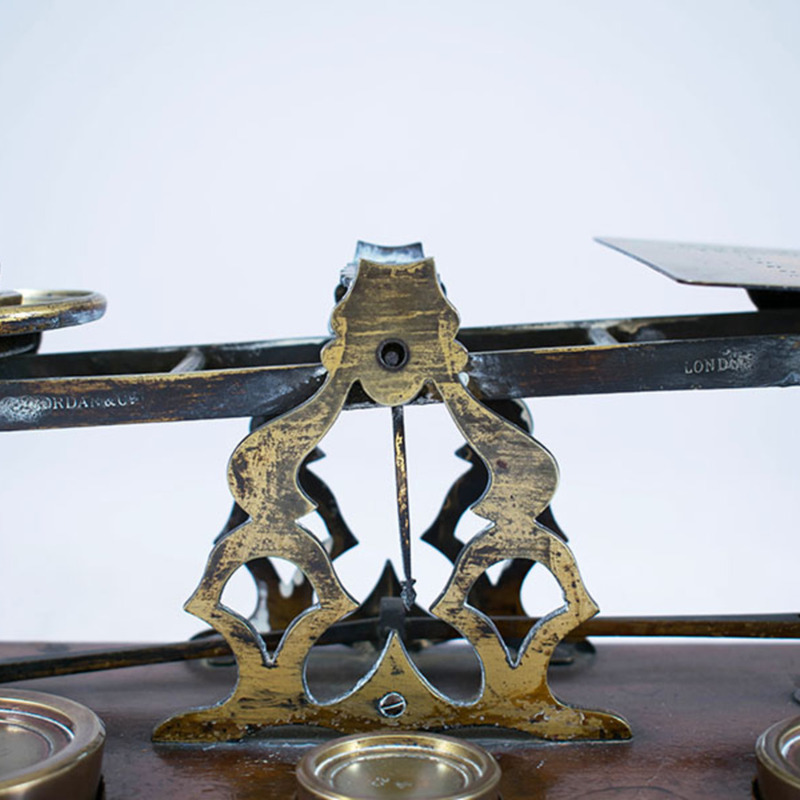 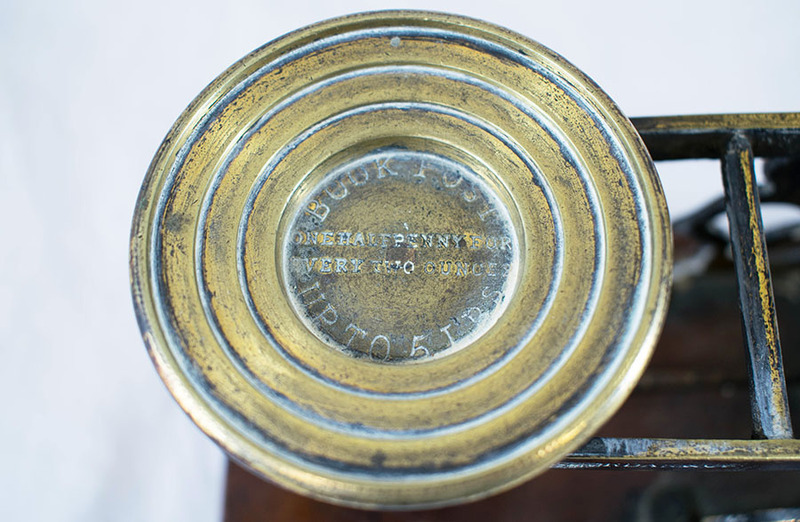 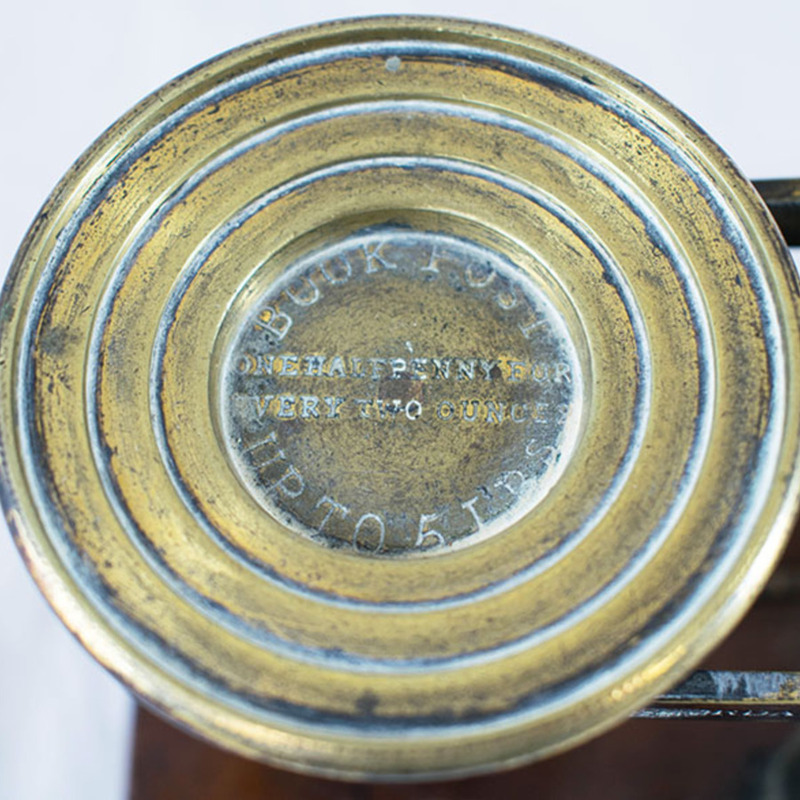 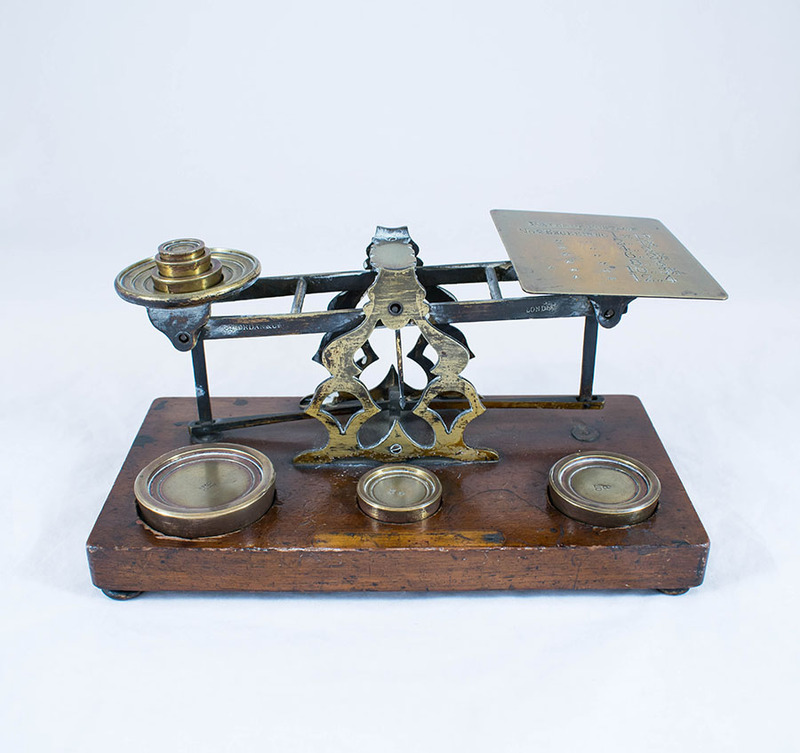 “Postage Scales,” Heritage, accessed April 23, 2019, https://heritage.rcpsg.ac.uk/items/show/834. 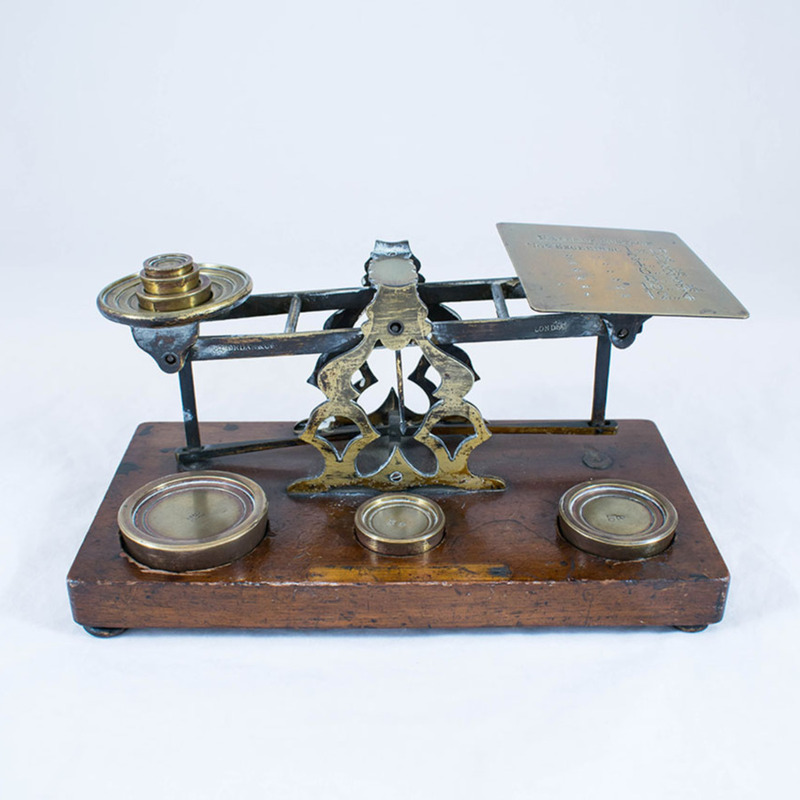 Description: Brass postage scales on a wooden base. 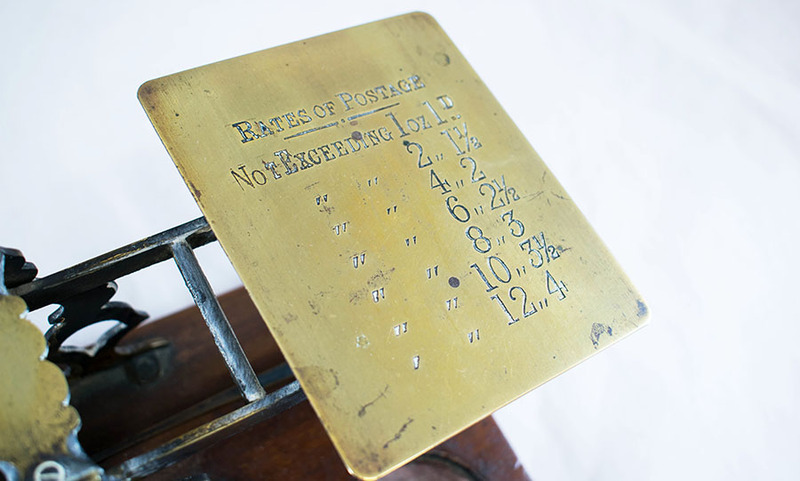 Rates of postage inscribed on weighing platform. 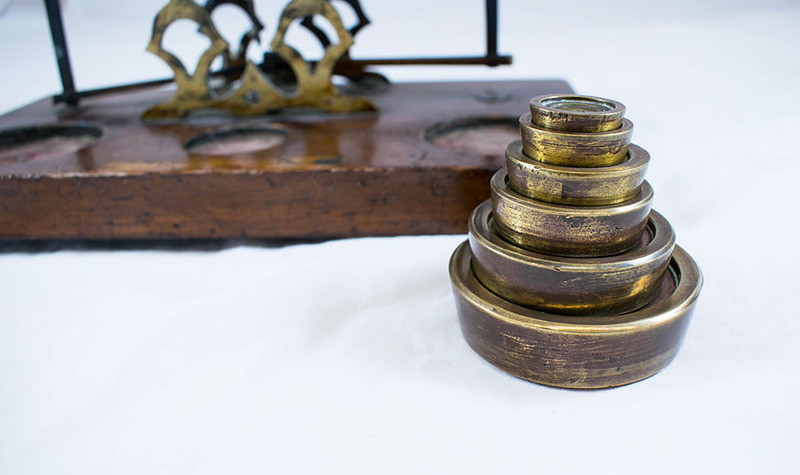 Circular spaces for 6 brass weights on base.